PE sessions will take place on a Wednesday afternoon and are taught by Mr Carter. The children will need their school indoor PE kit and suitable kit for use outdoors on these days. Children are taught French and music by Mrs Swirles on a Wednesday afternoon. Homework will be given out every Thursday and must be returned the following Thursday. Homework will consist of one piece of English and one piece of Maths. A list of spellings will be given out on a Friday and these will be tested on a Friday. The topics which we will be studying this term are 'The Romans' and New York. The children are looking forward to taking part in a Roman Theatre workshop in November. Science topics will be 'Human Body' and 'Sound'. Wow! What a fantastic morning. We braved the cold and walked to Elba Park to practise our map reading and coordinates skills, carrying out a geocaching activity. A big thank you to the parents who helped out. Well done to all the children involved!! To celebrate the birthday of Roald Dahl on 13th September, we came into school dressed up as our favourite character from one of his stories. We made a 'guess who' game by writing a description of our character for others to guess who it was. Mrs Wells' trip to Uganda. 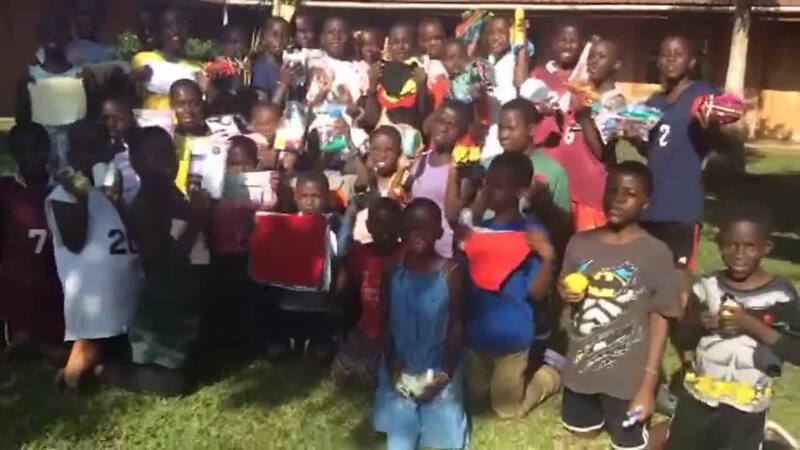 A big thank you to all the Y4 children and parents who donated gifts for the African children. They were so thankful and delighted with the presents. Since returning from her visit, Mrs. Wells has shared with the children all her amazing experiences and the pupils loved looking at the different African artefacts.